When any GULFSIP number calls the converter’s GULFSIP number , the call could be forwarded to another GULFSIP number or another landline . - Set Numbers: Set the number you wish to forward calls to in the corresponding forward rule that you have already turned on , you can put the number in both name & URL/Number field . When any land line number calls the landline connected to the converter , the call could be forwarded to another GULFSIP Number . Always Block : Turn on to block all incoming calls. • Check your wire connection for your GULFSIP device model as shown in connection page . • Change the port for the GULFSIP device, dial #190# you will hear a disconnecting tone, hang the phone and pick it up, and dial #1276000# from the phone connected to the GULFSIP device, then hang the phone. • Dial #122# you should hear your GULFSIP number. If you hear 1001 or nothing that means that your GULFSIP device has been reset and needs configuration. 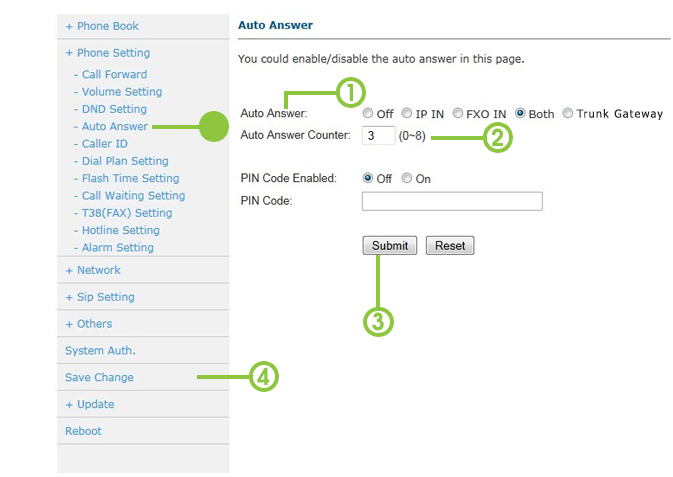 If you have the GULFSIP number & password, you can follow the configuration steps as shown in configuration page. • Change port by dialing #190# , you will hear a disconnecting tone, hang the phone and pick it up, and dial #1276000# from the phone connected to the GULFSIP device, then hang up. • Change port by dialing #190# , you will hear a disconnecting tone, hang the phone and pick it up and dial #1276000# from the phone connected to the device, then hang up. • Check you wire connections and power from connection page. 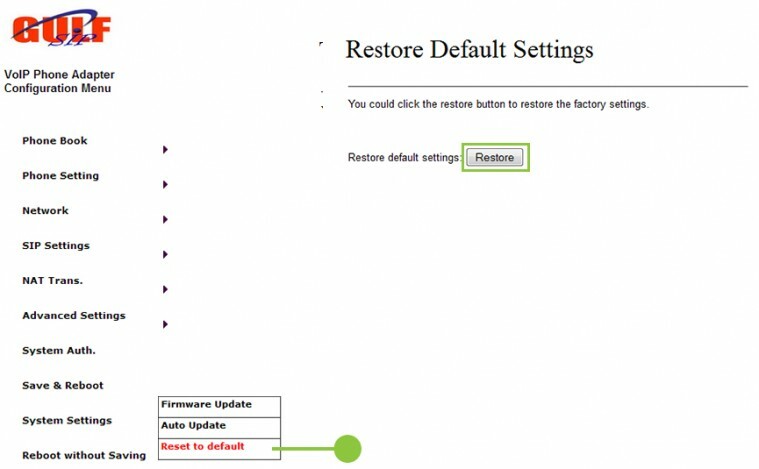 • Check the settings shown below and make sure that the converter feature is active. • Test the device on a different land line if possible , as the problem might be due to the land line itself.